Masked Rider joins the Shinkocchou Seihou series! 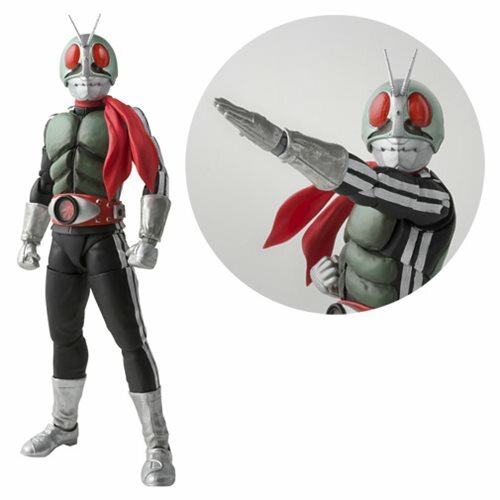 The Masked Rider 1 SH Figuarts Action Figure features exquisite sculpting and incredible posability making this the ultimate Masked Rider 1 figure. Includes 4x sets of optional hands and an optional scarf. Measures about 5 7/10-inches tall. Ages 15 and up.